Rome was the second to last destination on our European honeymoon. We arrived to our hotel and instantly headed for the Colosseum. We bought our Colosseum tickets in advance which and did not have to wait in line. Our ticket included touring the Colosseum, the roman forum and the palatine. While Rome wasn't my favorite city during our honeymoon, being inside the Colosseum was unlike anything I've ever experienced. It's hard to conceptualize the amount of history that lied inside the walls and being inside a structure that was built in the first century honestly leaves you speechless. The Colosseum was giant - much larger than I anticipated. It held between 50,000 and 80,000 spectators and was used for gladiatorial contests, public spectacles, animal hunts, executions, re-enactments of famous battles, and dramas based on Classical mythology. After we left the Colosseum, we ventured over to the neighboring Roman Forum. At this point, I wished we did a guided tour so we would know what everything was. However, after fighting through multiple tour group after multiple tour group, I quickly changed my min. 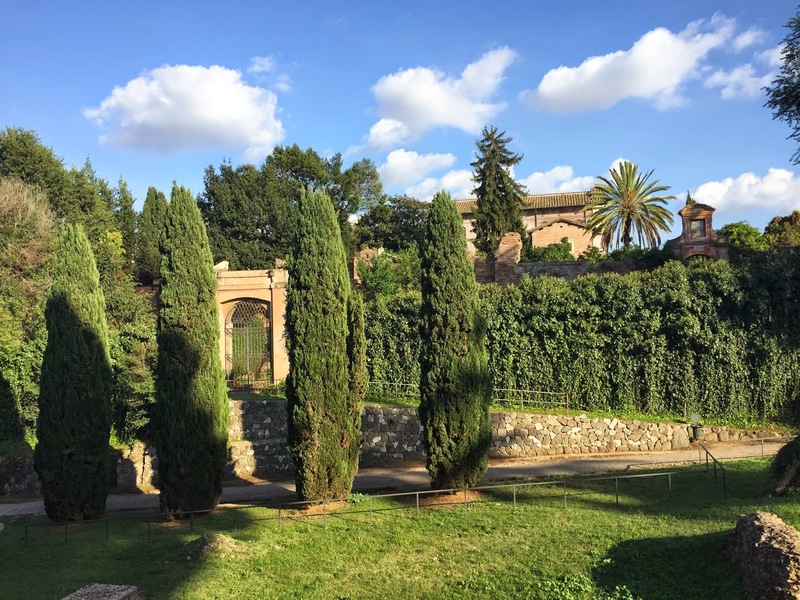 After we were finished at the Roman Forum, we headed to Palatine Hill. Being able to walk in remains of homes that belonged to gardens of Imperial Rulers was truly enchanting. The Colosseum was my favorite part of Rome. If we were to do it all over again, we would have taken the train into Rome and stayed in Florence (it's only an hour train ride). In a weird way, the area of Rome we were in reminded me of times square. Not my cup of tea, but you can't miss seeing it if you are in the area. Rome is on my bucket list. Your photos are beautiful, but I'm sure the photos don't do it justice in your mind. I can't imagine how grand and majestic it looks in person. Love these wedding/honeymoon posts. Keep them coming!